Port of Antwerp’s new service quay for barges on its left bank is an “excellent initiative”, but there was a warning that dangerous practices will persist if the congestion issue is not addressed. Opened last Thursday, the €2.4m quay provides additional holding berths for barges carrying dangerous goods. An industry source praised the initiative and said it formed part of the port authority’s strategy to create a “more attractive” inland navigation image. The source added that the port would be making further improvements to its inland waterways over the next 12 months, but said ongoing congestion made the prospect of accidents very real. “Ocean vessels have priority, meaning barges are not allowed to shift at the same time, and ocean vessels can take several hours, which also leads to wasted fuel consumption,” said the source. “Currently, barges waiting for a slot are moored on the River Scheldt, on a stream with tidal differences exceeding four metres and ebb and flow currents exceeding five knots. Video footage seen by The Loadstar highlights some dangerous practices by barge operators under pressure. “Some operators are ignoring basic safety standards, and even operate in conditions way below common sense,” the source said. “In one instance, three barges were bound together – operating on one motor between them – were overloaded and, lacking the power to combat modest winds, were effectively left drifting in the port. 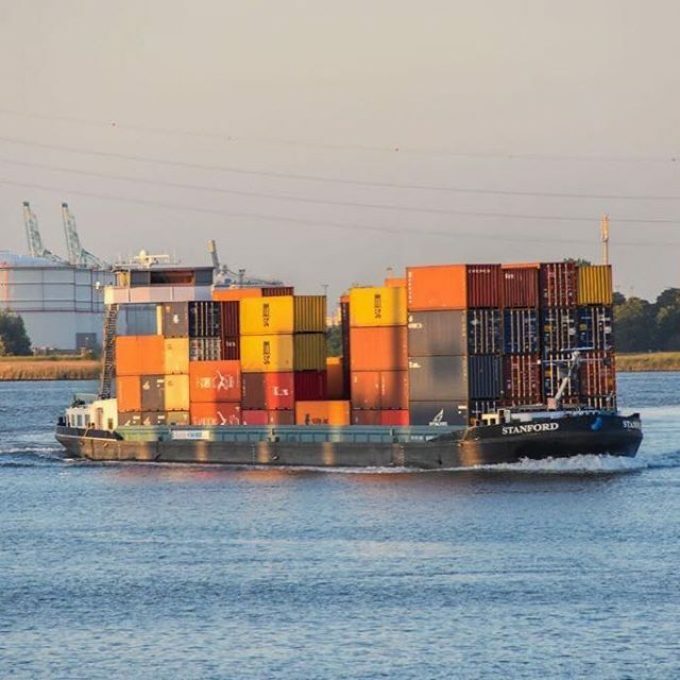 A statement from the port on the new berth at Killo, on the left bank of the Scheldt, acknowledged that increasing barge freight volumes had led to heightened demand for holding berths. The new service quay is equipped with a sustainable building, a waste collection park, a drinking water point, and a long-term car park. Mr Van Peel said it was the third such service point for barges installed since the opening of the Lillo quay in 2013 and Quay 75 in 2011. Work is due to begin at Reigersbos in the second quarter of 2018 on constructing 18 berths for barges, thanks to a €1.9m investment from the port authority. The government will also construct holding berths at Ketelplaat, with inland operator Vlaamse Waterweg due to build a holding dock at the Noordland bridge for barges carrying dangerous goods.